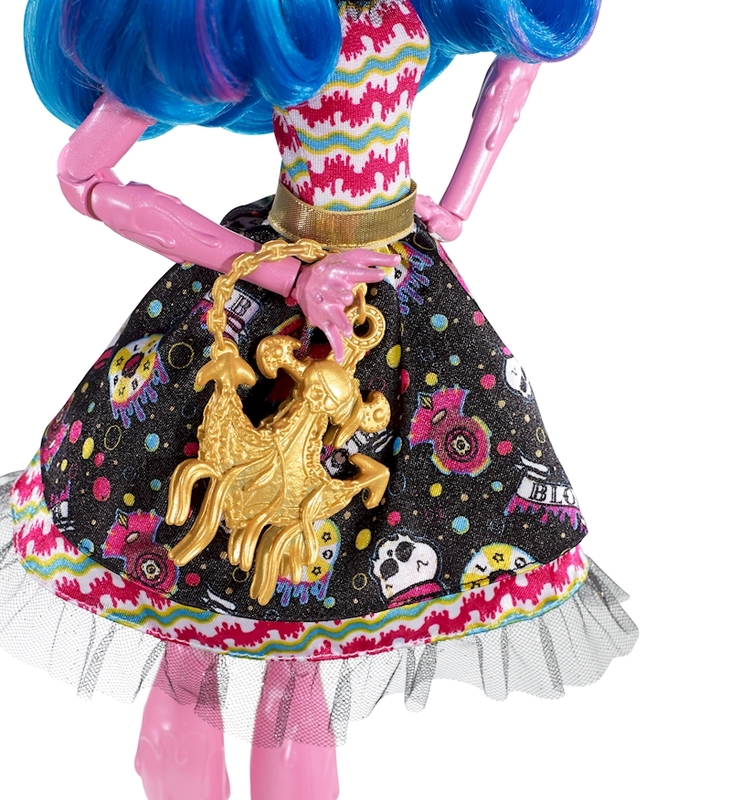 ​ This Monster High™ doll is an absolute treasure! In the new Monster High™ adventure Shriek Wrecked™, the ghouls make waves on the high seas, and Gooliope Jellington™ takes her show off the road and onto the ocean. The larger-than-life boo-tiful ghoul looks positively swashbuckling at 17 inches tall and wearing her signature nautical outfit. 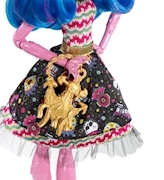 Gooliope Jellington™ doll is decked out in a colorful dress that mixes graphic prints and has a layered skirt, sheer ruffle hem and collar and golden sash belt. A ship-adorned headband is the height of fashion in her color-streaked blue hair; golden lifesaver earrings are to die for; golden rope-decorated shoes are sea chic; and her anchor-shaped purse makes a splash. The details are extra fun in extra-large size! Create sea-sational action and tell your own pirate tales. Collect all of the Shriek Wrecked™ dolls and accessories for a full crew (each sold separately, subject to availability). Includes 17-inch Gooliope Jellington™ doll wearing fashions and accessories, plus bag. Doll cannot stand alone. Colors and decorations may vary.